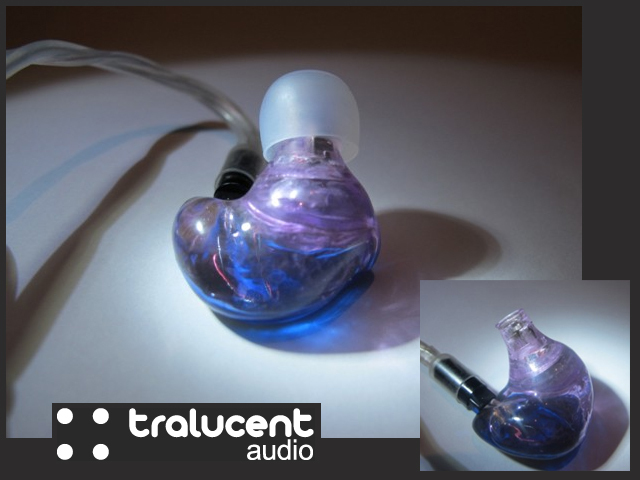 It would seem we have a new headphone company popping up just about every other days now, but here is one with a really interesting first offering: Tralucent Audio is selling their first IEM model, the '1Plus2', as in one dynamic + two BA, I presumed. But it is not just your typical hybrid IEM: first, it is a custom-shell universal (much like stuffs from Heir Audio or Aurisonic). Second, it uses a single large bore design instead of the typical separated sound tube. This means all three drivers are outputting to the same large bore (see in the picture above). In a way, this is almost like the AKG K3003 with a different housing. Not as expensive as the K3003, but not cheap either. At $880 a pair, it is right around the same price range as some mid- to top-range custom.